Hi, I’m Marshall Roberts (as in, “mr”). I’m the blue guy wearing the ‘mr office’ uniform. I’ve been working in the IT industry since 2001, and started my own IT business, mr office, in 2005. I’ve worked in IT with software companies and for government, in Hobart, Melbourne and Sydney. My roles have spanned project management, process design, business analysis, software design, technical documentation, testing, quality assurance, user documentation and toolset development. In these roles I’ve had direct exposure to business operations large and small. I’ve worked with organisations that employ just three staff, and I’ve worked with an ASX-listed, Telstra-preferred supplier with over 200 employees in three countries. I’ve also worked with Tasmania’s Department of Health and Human Services, the state’s largest employer, with over 10,000 staff. 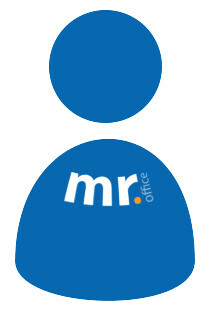 mr office clients are dotted around the globe – Australia, New Zealand, Europe, the US, and the UK – and span a diverse range of sectors including trade, civil works, aquaculture, the community sector, information and communications technology providers, federal government, education and training, bioscience, the arts, media, and hospitality. I’ve also benefited from being raised on a fifth-generation family farm in Tasmania’s Huon Valley, where a good work ethic and practical problem-solving skills are a must.